Crown caps for sealing your home brew beer into reusable glass bottles. These are oxygen scavenging caps to help reduce oxygen that might be introduced during the bottling process. For use on Super Automatica Capper with Tirage Bells. 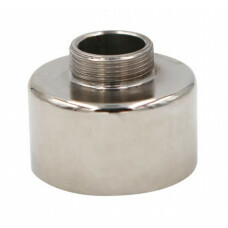 Use with crown bottle caps to cap your bottles of homemade beer or cider. Can be used with re-usable standard crown beer bottles. No mounting needed. High quality product made in Italy.